Today I am inspired to create 2 signature cocktails inspired by 2 women who are different, yet the same. My muses are Hadley Hemingway and Zelda Fitzgerald. Hadley and Zelda were contemporaries and acquaintances, but never friends. They had the same stomping grounds: Paris in the 1920s. Both women inspired their famous husbands, but I would not lessen them as women by using the old adage about “behind every good man” because they are every bit inspiring on their own. Hadley’s cocktail is gin-based. Let’s face it, gin is the spirit that comes to mind for most when thinking about the 1920s and classic cocktails. 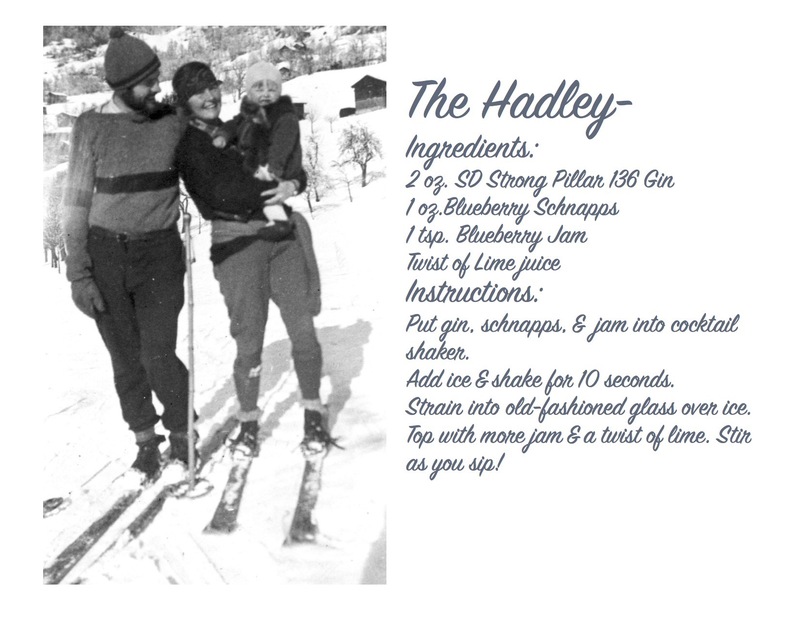 It’s a spin on Gin & Jam (not Gin & Juice LOL)- simple and sweet like Mrs Hemingway Numero Uno, the schnapps a nod to The Hemingways best times on holiday in Austria, the lime for the less-than-sweet times that Hadley endured. 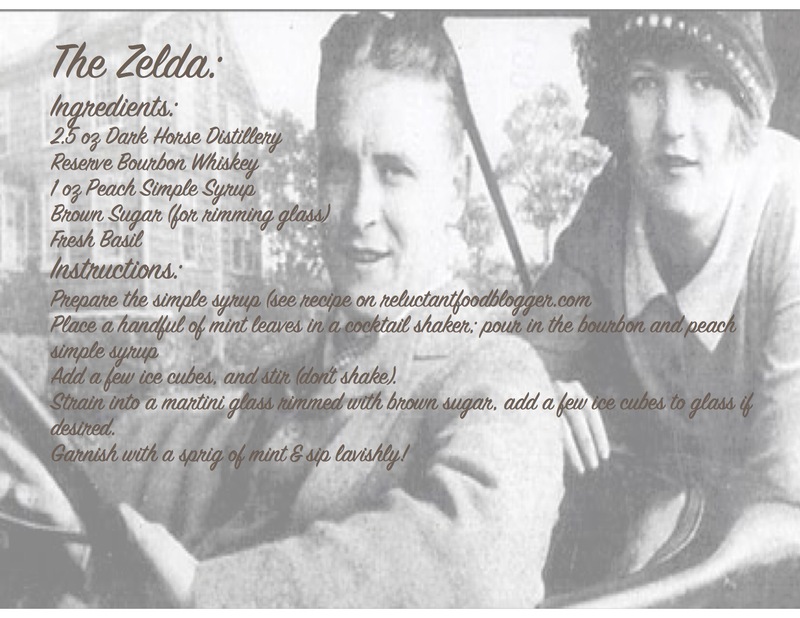 As it happens with most things related to Zelda, her cocktail is a bit more complicated. Inspired by the Mint Julep, The Zelda packs a bourbon-based punch and a shot of Southern sweetness with peach simple syrup and a rim of brown sugar. The perfect cocktail for shimmying out of your stockings for a midnight splash in the city fountain! In a medium saucepan combine water, sugar, and peaches. Over medium heat, bring the mixture to a boil, whisking constantly. Reduce heat and simmer until sugar is completely dissolved. Remove from heat and cover. Steep peaches in sugar syrup 30 minutes. Strain syrup to remove the peach bits and allow to cool thoroughly before use. Refrigerate for at least 2 hours. 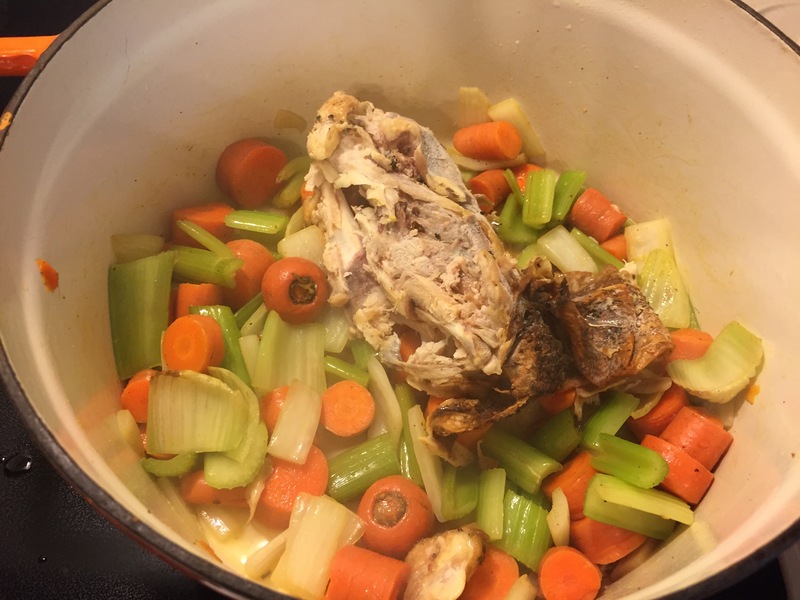 This morning I’m making a little chicken stock using the carcass from a rotisserie chicken we had for dinner last week. You can do this any time you have a full chicken or turkey for a meal. No time to make stock in the day or two after the meal? Just put the carcass in a freezer bag & put it in the freezer until you’re ready to use it. I actually froze mine right in the rotisserie chicken container. 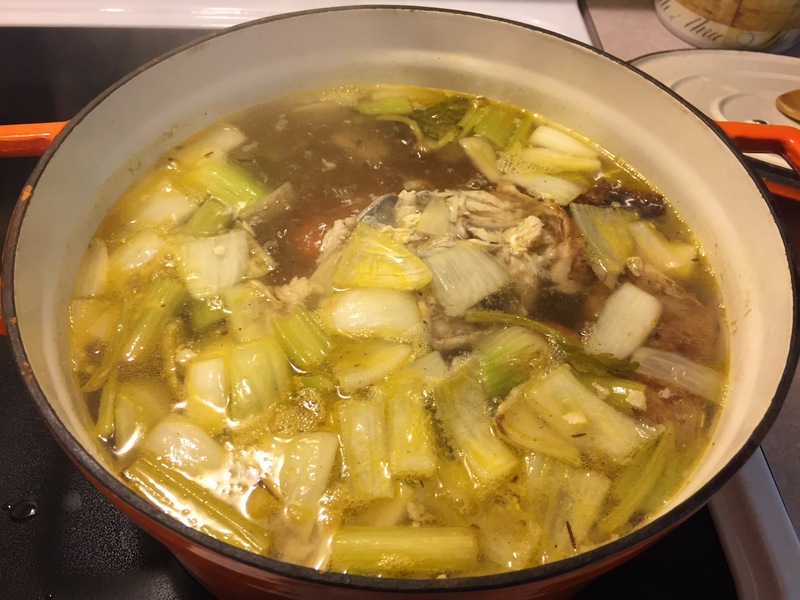 This recipe is kind of a short-cut stock, but it’s easy and cheap & you can use it in any recipe that calls for stock or broth. In a large stockpot or dutch oven heat EVOO over medium high heat. Add celery, carrots, and onion & sweat until translucent but not browned. 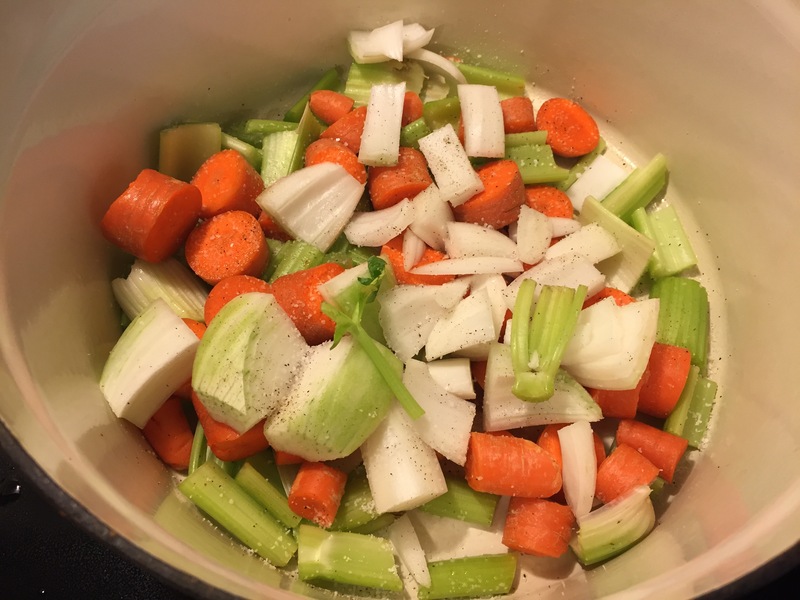 When I’m making stock, I chop my mirepoix (celery, onion, carrot) very roughly and I leave on skins, stems, and leaves to be removed later. Season with salt & pepper, if desired. Add your carcass to the pot and cover with water (I like to use hot water heated in my electric kettle). Store your carcass in the freezer until ready to use. Bring stock to a boil, cover and reduce heat to medium-low. The longer you simmer, the more flavorful your stock will be! Let stock cool for 1-2 hours, fish out the large bits of bone & veggies with a slotted spoon. Strain stock through a cheesecloth and can or freeze until ready to use. I’m planning on rocking out some Matzoh Ball Soup with mine! Check the recipe here. Possibly you can’t tell from the video, but there is a VERY STRONG aroma coming out of that mini-crockpot. I imagine it will get stronger as the weeks go on. I ended up changing my mind about using beer as the liquid & instead used some leftover white wine (GASP!) I had hanging around the house. It doesn’t smell winey, and I’m unsure if the wine will end up effecting the flavor.